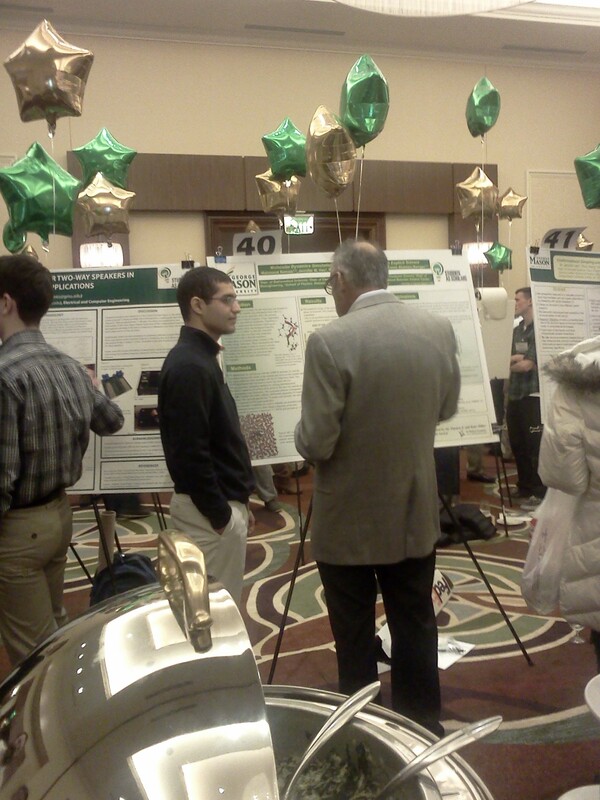 Many of the undergraduate students in our lab attended undergraduate research symposia organized by the College of Science and Volgenau School of Engineering. 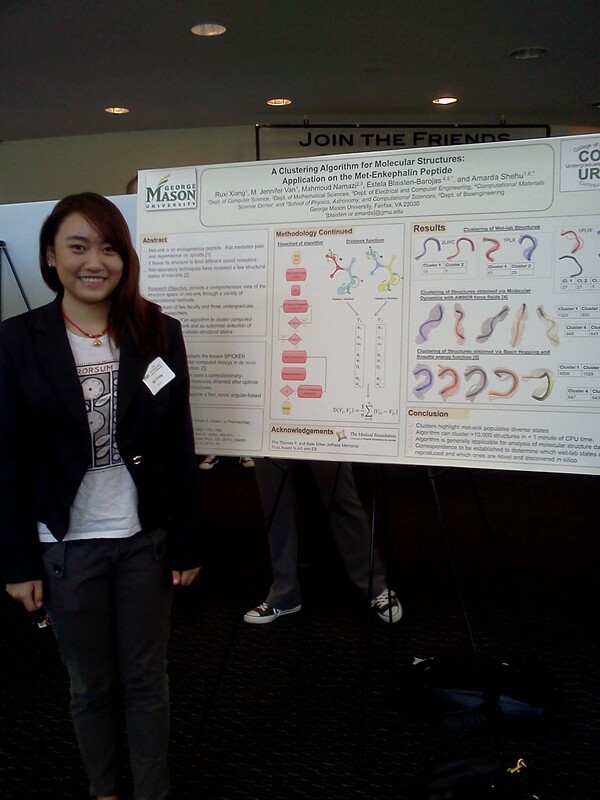 Here are some photos snapped during those events. 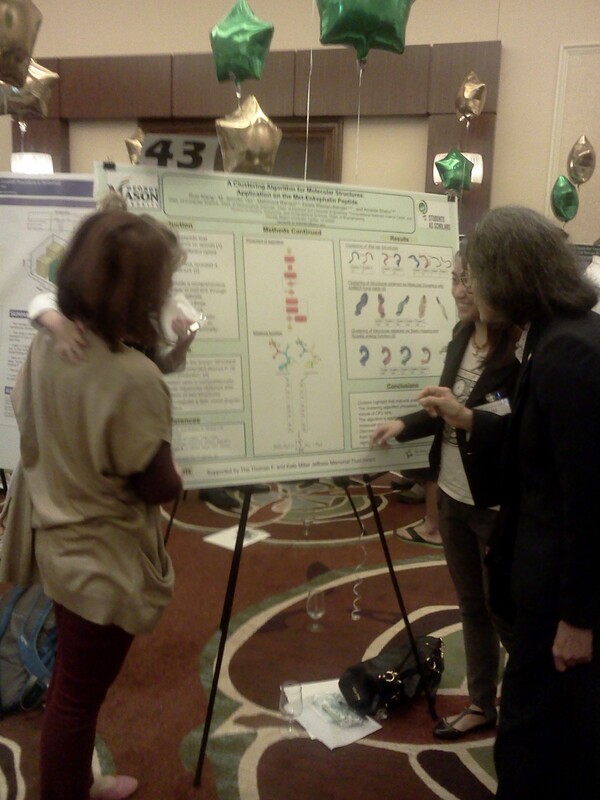 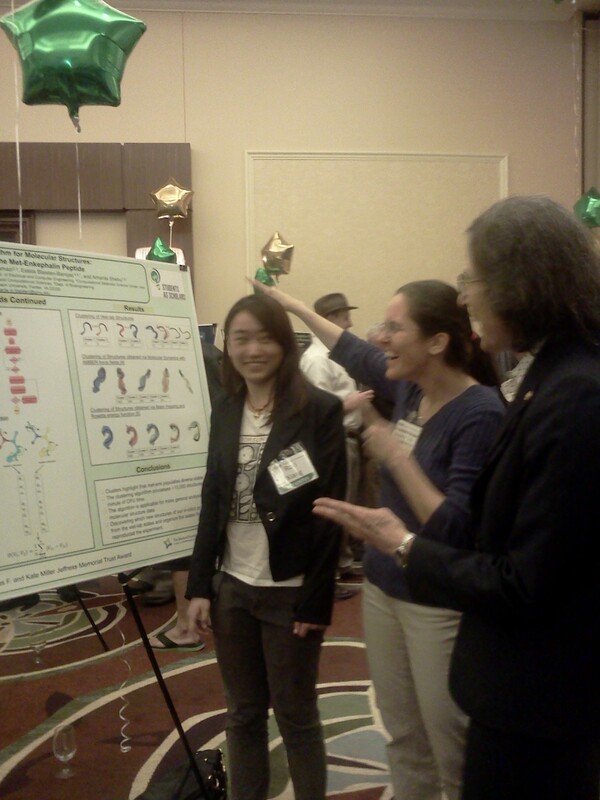 From left to right: Ruxi, Herath, Jennifer, and Nima by their respective posters at the COS event. 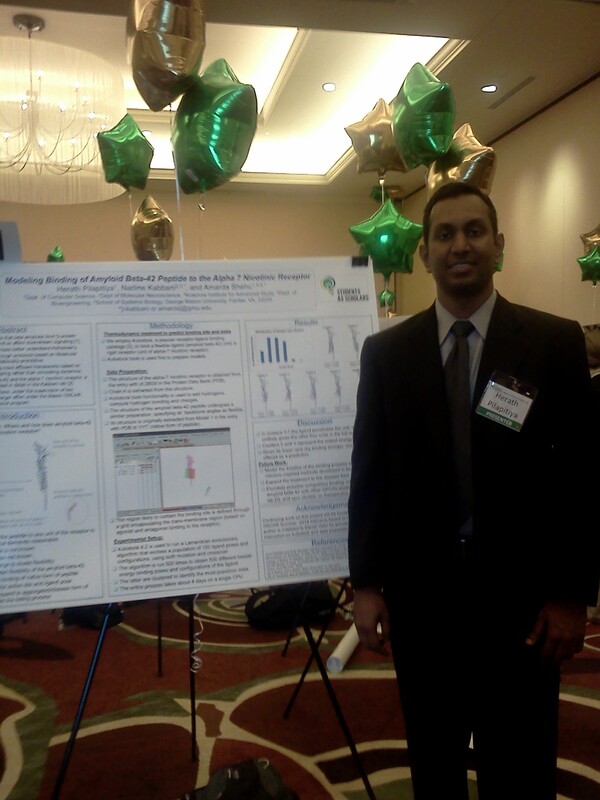 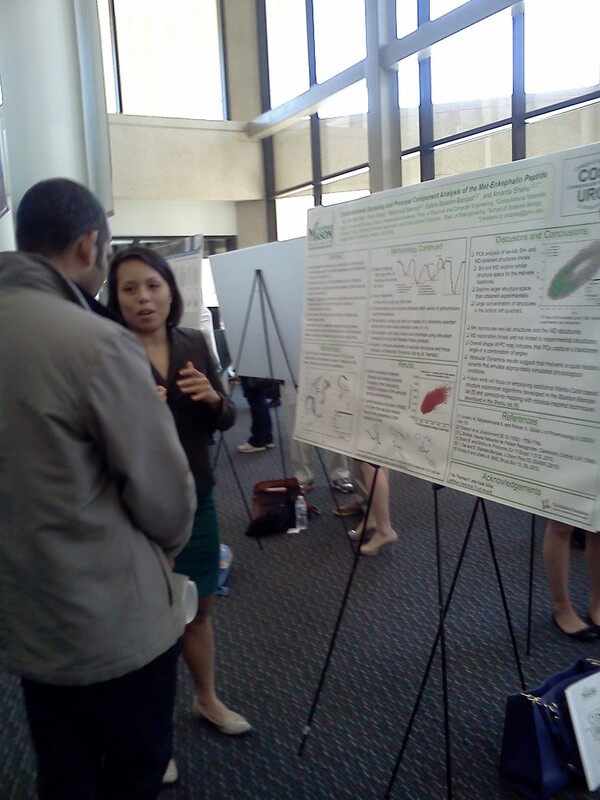 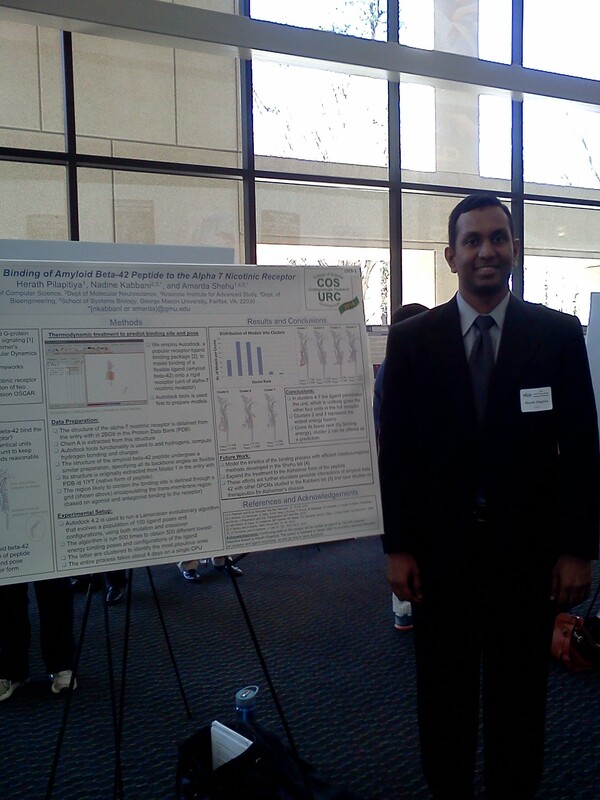 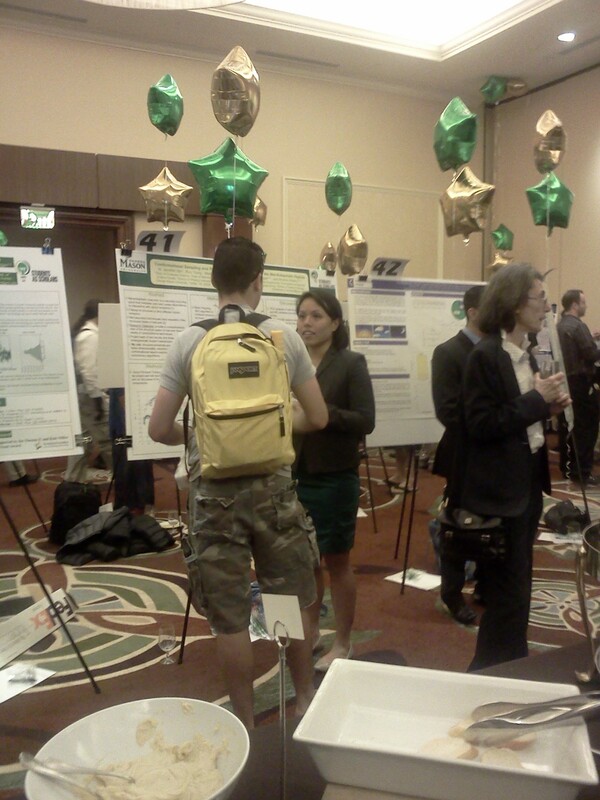 From left to right: Jennifer, Nima, Ruxi, and Herath by their respective posters at the VSE event. 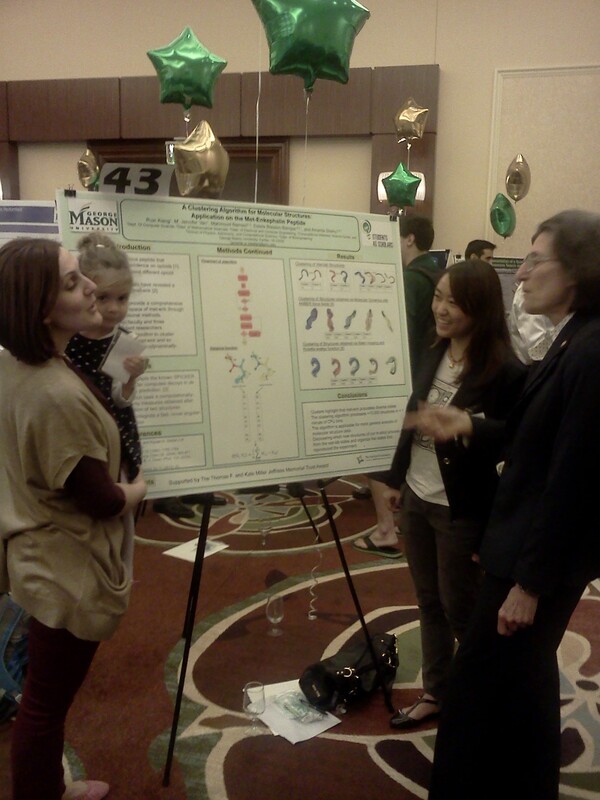 We had an honorary judge making the poster rounds. 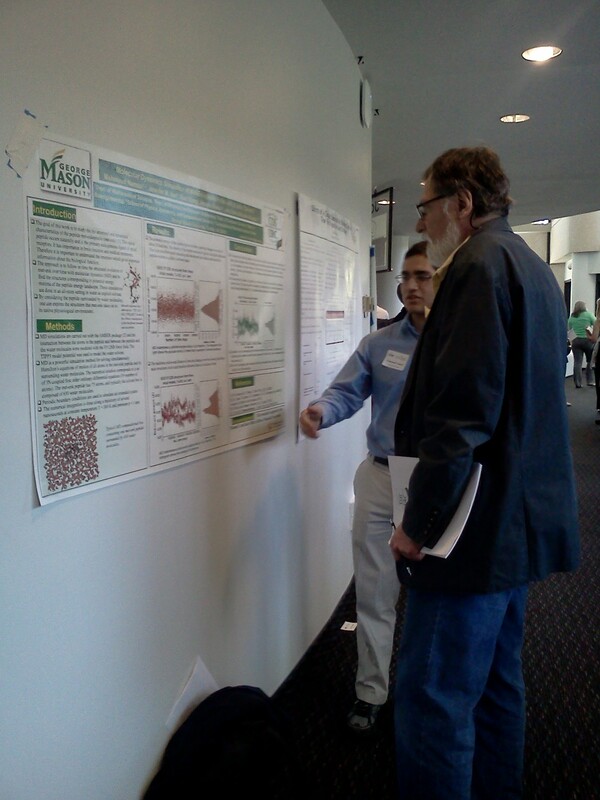 Snapshots courtesy of Nathalia Peixoto.